The Strategic Partnerships Office or SPO at NASA Goddard Space Flight Center in Greenbelt, Maryland is pleased to announce the signing of a Reimbursable Space Act Agreement between Rolls-Royce, Indianapolis, Ind., to collaborate on the development of braze joint performance prediction methods for critical structures subjected to complex loading conditions. 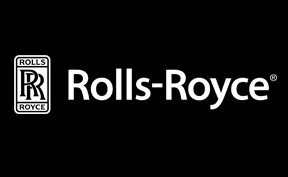 Through this partnership Rolls-Royce will establish a braze Failure Assessment Diagram (FAD) that can be used to define acceptable stress combinations and margins of safety of braze joints and braze repair structures. NASA will receive verification of its FAD methodology for failure prediction of structural brazed joints on real industrial applications. Rolls-Royce will use the “Methodology of Evaluating Margins of Safety in Critical Brazed Joints,” developed at Goddard by Dr. Yury Flom to help in the performance prediction of brazed joints at NASA Goddard. The automotive and aircraft industry may benefit from this technology as it could be used to design and manufacture components for use in automobile radiators and space radiators, aluminum engine blocks and pistons, heat exchangers for gas-turbine applications, all-metal honeycomb sandwich panels for fabrication of aircraft structures, jet engines in commercial and military aircrafts, thrust chambers in rocket engines; and for other electronic components, probes and thermionic devices, space vehicle assemblies and various miscellaneous applications. “This agreement with Rolls-Royce offers a fantastic opportunity for NASA Goddard to partner with an organization that has a wide-range of unique research and development activities,” said Dennis Small, Technology Transfer Manager in NASA Goddard’s SPO.